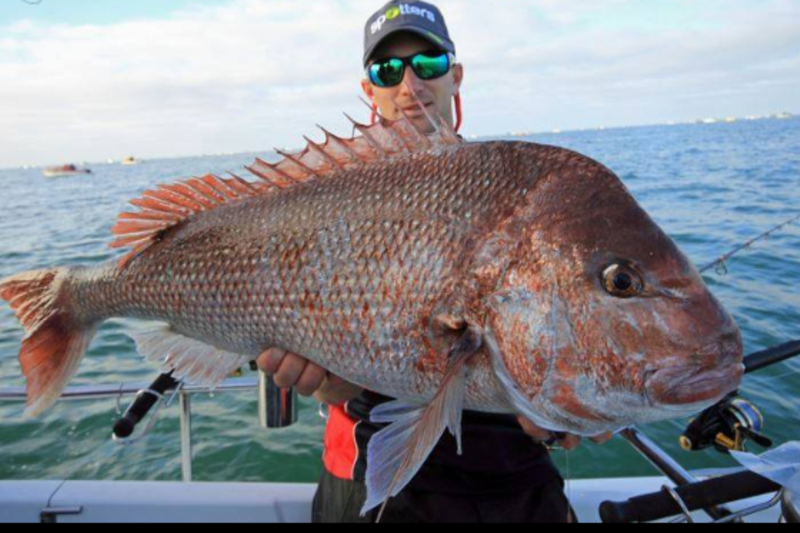 ANOTHER MELBOURNE SNAPPER SEASON IS HERE AND AT RED HOT SNAPPER FISHING CHARTERS WE RUN SNAPPER FISHING TRIPS 7 DAYS A WEEK ALL SNAPPER SEASON WE ARE A FAMILY OWNED AND OPERATED BUSINESS AND YOUR CAPTAIN SIMON RINALDI HAS BEEN FISHING THE WATERS OF PORT PHILLIP BAY FOR THE PAST 38 YEARS SO YOU KNOW YOU ARE ON A VERY EXPERIENCED FISHING CHARTER, OUR 3100 NOOSA CAT IS A BEAUTIFUL BOAT VERY SAFE AND IT IS ALWAYS WELL PRESENTED NO STINKY DIRTY OLD BOAT HERE,WE RUN WITH THE BEST SNAPPER FISHING RODS AND REELS FROM PENN AND SHIMANO OUR BAIT IS A BIG VARIETY OF DIFFERENT BAIT WE GET DIRECTORY FROM THE LOCAL FISH MARKET. ANOTHER TUNA SEASON IS HERE AND WE AGAIN WE WILL BE RUNNING TUNA FISHING CHARTERS 7 DAYS A WEEK ALL TUNA SEASON. ''BARREL BLUE FIN TUNA CHARTERS'' FOR ALL BOOKINGS CHASING THE LARGE BARREL TUNA OVER 100KG PLEASE NOTE THESE CHARTERS ARE FOR BOAT/GROUP BOOKINGS UNLESS WE HAVE SPECIFIC DAYS/DATES AS INDIVIDUAL CHARTERS PENCILED IN THE DIARY. LOOK FORWARD TO SEEING YOU ON A RED HOT TUNA FISHING CHARTER SOON.REGARDS SIMON.